And speaking of Hecht’s, here’s a great find from The Department Store Museum: an architectural rendering of the actual 84,000 square-foot Hecht Co. building at Laurel Shopping Center! 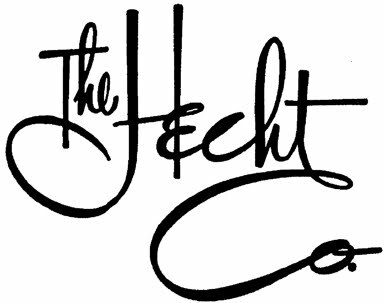 The building was originally designed specifically for Hecht’s, and was one of only 11 branch stores in the Washington, DC area. 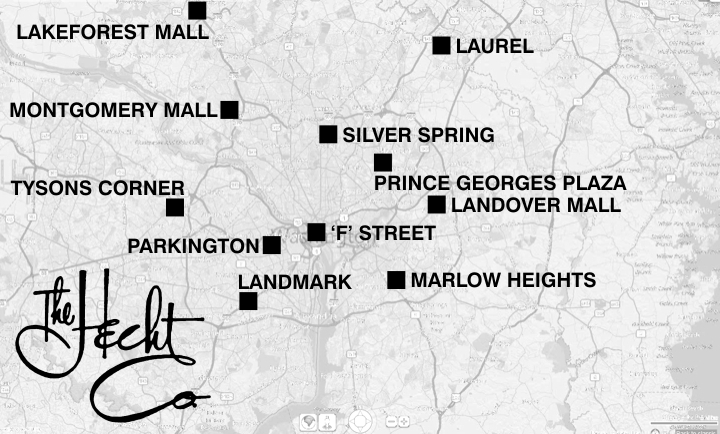 Hecht’s relocated with the advent of Laurel Centre Mall, where it would become one of the anchor stores for more than a decade (ultimately becoming Macy’s—which is surprisingly still open in what’s left of the mall). Meanwhile, the original building at Baltimore Ave & Montrose St. would go on to see new life as Jamesway and Toys R Us, among other things. As of this writing, it’s sadly being gutted… and turned into an L.A. Fitness center. 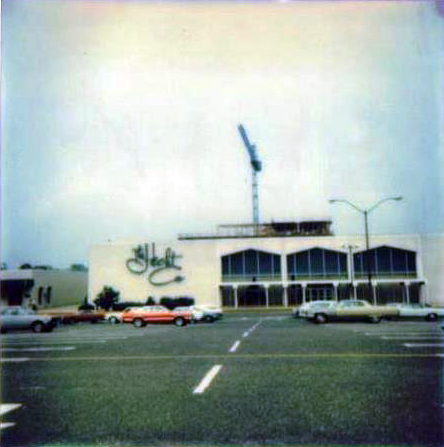 Tagged Hechts, Laurel Centre Mall, Laurel Shopping Center, The Hecht Co.